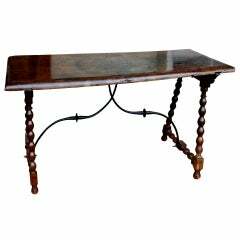 Lovely dark walnut antique library table. 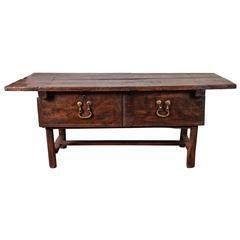 Two drawers, with original iron work and two plank top. 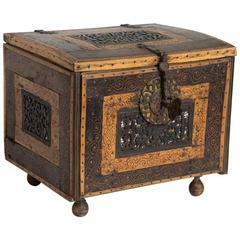 Magnificent 18th century Bolivian locking escritorio with inlaid wood and hand-forged iron details. 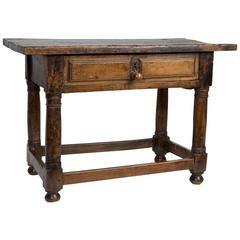 Lovely rustic walnut low table with one drawer, English, 18th century. 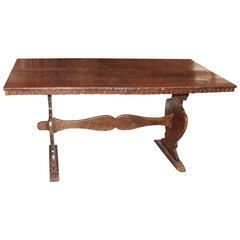 18th century Italian walnut table. 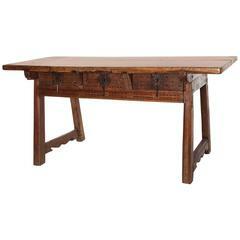 Three drawers, with original hardware and decorative chip carving. 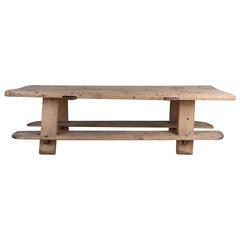 Single plank top with beautiful age. 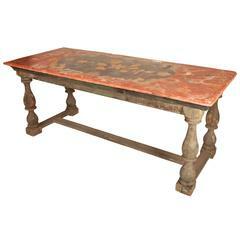 18th century walnut table from Spain. Most likely used to display a bargueno. Beautiful wood. 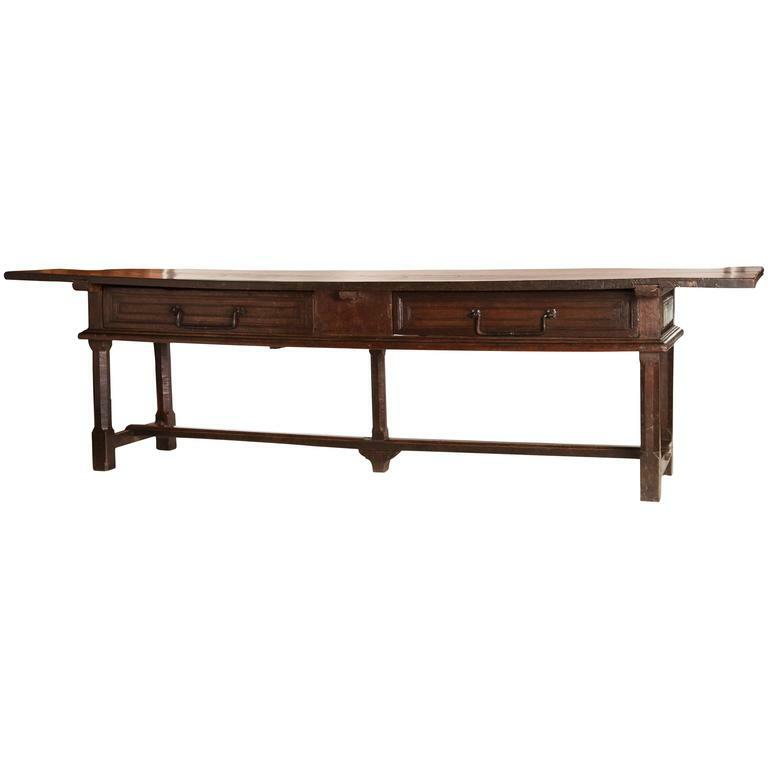 Beautiful Italian walnut library table. 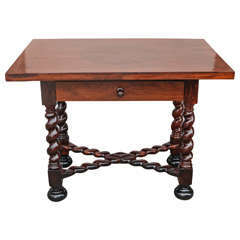 Very fine Single Drawer 18th c. Portuguese Rosewood Table with twisted legs. 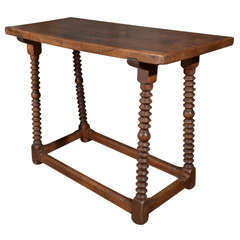 Side table of chestnut with carved lyre base and ebonized detalils in the legs, Spanish, 18th century.